Susan F. Semel. The Dalton School: The Transformation of a Progressive School. New York: Peter Lang,1992. Pp.xxii, 205. Wood, B. 1995. “ Progressive School. New York: Peter Lang,1992. Pp.Xxii, 205.”. 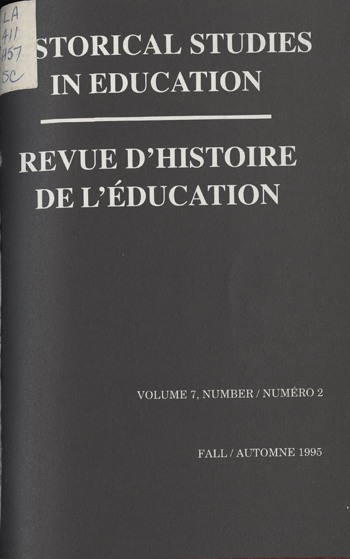 Historical Studies in Education / Revue D’histoire De L’éducation 7 (2), 270-72. https://historicalstudiesineducation.ca/index.php/edu_hse-rhe/article/view/1404.